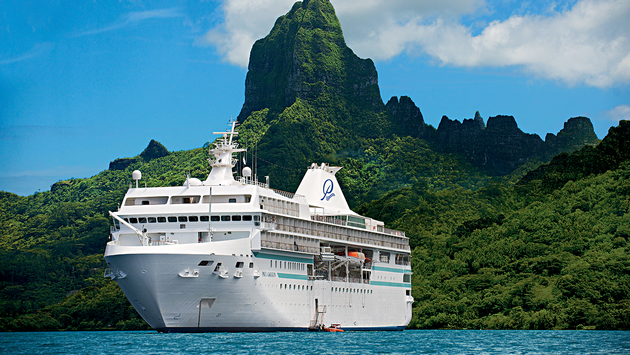 Valentine's Day only comes around once a year but you don't need February 14 as an excuse to celebrate your love when a one-of-a-kind romantic experience awaits year-round on a Paul Gauguin Cruises voyage to Tahiti, French Polynesia and the South Pacific. Renowned for its Polynesian hospitality, exceptional service and unrivaled attention to detail, the 2019 Travvy Award-winning luxury cruise line's seven- to 14-night itineraries are ideal for vacationing lovebirds. For those passengers on their honeymoon or celebrating an anniversary, Paul Gauguin Cruises offers a special onboard Polynesian blessing ceremony in Bora Bora that's performed by Les Gauguines and Les Gauguins, The Gauguin’s troupe of Tahitian entertainers. What's more, the cruise line rewards newly-wed guests with a complimentary Honeymoon Package that includes an in-stateroom celebratory bottle of champagne and an 8"x10" photo portrait in addition to the blessing ceremony. Guests can also enhance the romance by purchasing a Wedding Ceremony and Renewal of Vows Package. Starting at $315, the Motu Wedding Ceremony or Renewal of Vows Package includes a private Polynesian blessing ceremony on Motu Mahana; a congratulatory letter from the captain; an invitation to dine with an officer; an in-stateroom celebratory bottle of champagne; a reception cake and box of chocolates; heis (flower crown); a deluxe flower arrangement and one 8"x10" photo portrait. Meanwhile, the Bora Bora Wedding Ceremony or Renewal of Vows at Thalasso Package starts at $950 and features a handful of exciting perks and amenities, including a traditional outrigger canoe ride through the lagoonarium for the bride arriving at the chapel; a Tahitian blessing by a local priest; flower leis for the bride and groom; a Tapa certificate with the couple's Polynesian name; a two-course lunch at the resort; a love lock to attach to a palm tree in the resort’s Secret Garden of Love; use of the resort’s facilities after the ceremony and transfers. It should be pointed out that the wedding ceremony isn't legally binding in either case. 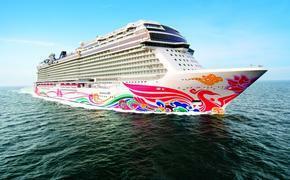 If you've already tied the knot, Paul Gauguin Cruises' Honeymoon Package is an easy add-on. Starting at $425, the package includes complimentary champagne, cake, chocolates, flowers and a photo portrait as well as a congratulatory letter from the captain and an invitation to dine with an officer. Passengers can also spice up one of their evenings at sea with a special private Marina Dinner where they'll dine just two feet above the water level on the aft of the ship in Bora Bora. Rates start at $250 for a table for two guests and $400 for a table for four. Passengers can also create a wish list on Paul Gauguin Cruises' Honeymoon Registry to invite family and friends to gift them shore excursions, dining and spa options and more. For more information on Paul Gauguin Cruises' romantic itineraries, excursions and packages, contact your travel agent or check out their website here.